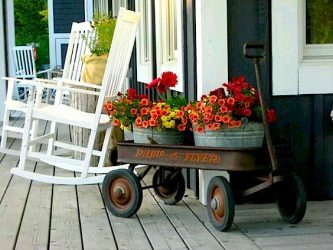 Decorating outdoor porches and patios is a great way to add seasonal flair to your home. 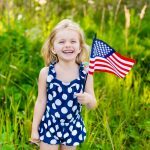 Use rich, vibrant color in your outdoor decorating, with pumpkins, gourds, mums and other natural elements. 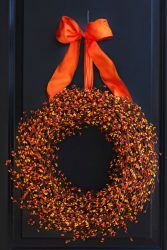 The wreath above is made from berries, but if you’re not in a crafty mood, it’s available for $43 on Etsy. 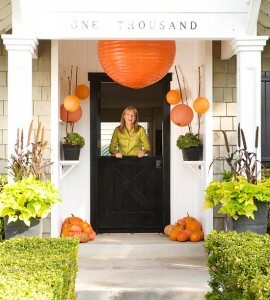 This front porch by Pottery Barn uses lanterns and a bronze, white and orange palette to create a welcoming entry. 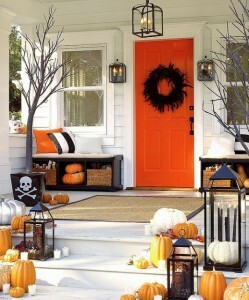 Orange lanterns offer a pop of color on this front porch from bhg.com. To re-create this look, attach smaller lanterns in various shades of orange to bamboo stakes using light-color string, put the stakes in planters on either side of the door. 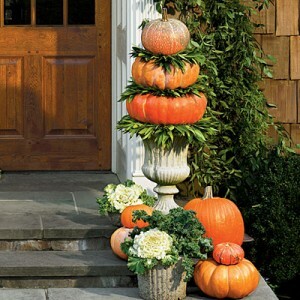 Pumpkin Topiary from Southern Living Magazine works by tucking in flowering cabbages, kale. 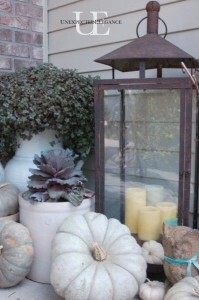 Then sandwich bay wreaths between pumpkins stacked in concrete urns, and top with a small pumpkin. 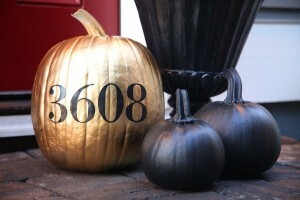 The Twig and Thistle Blog gives a tutorial on how to create this gilded pumpkin with your address stenciled. 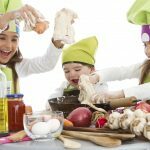 The alternative to putting a lot of orange around your house, is creating a display of white pumpkins and cabbage greens. 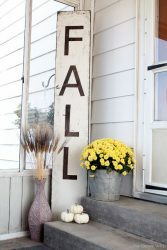 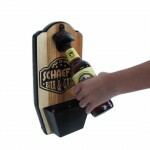 oversized signs with a distressed finish to adorn your porch.